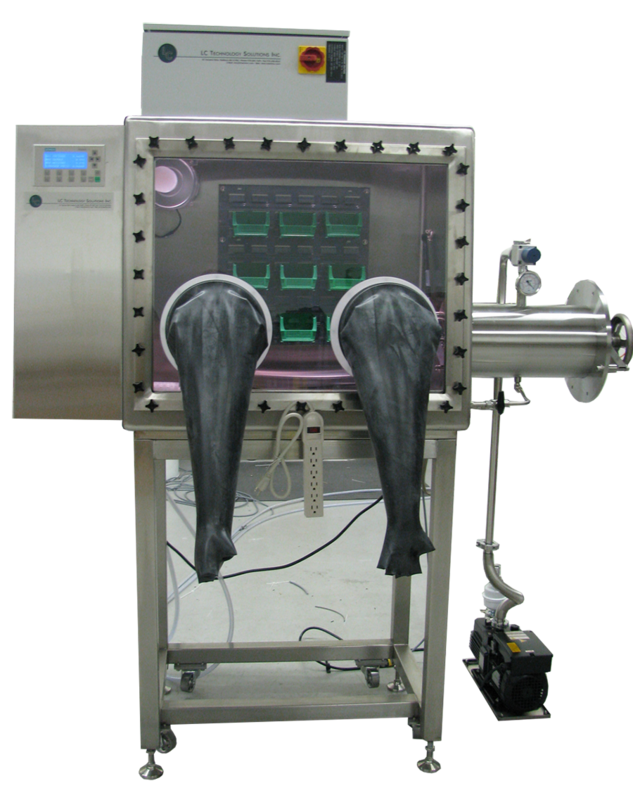 LCPW | Personal Workstation Glovebox Systems | LC Technology Solutions Inc. Compact design for smaller lab spaces. 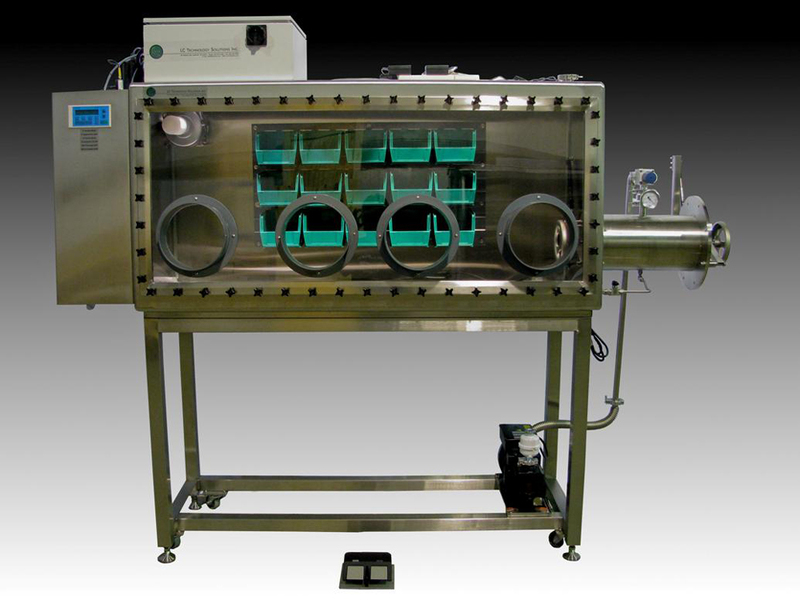 The LCPW series of personal workstation gloveboxes were designed for users with limited space. 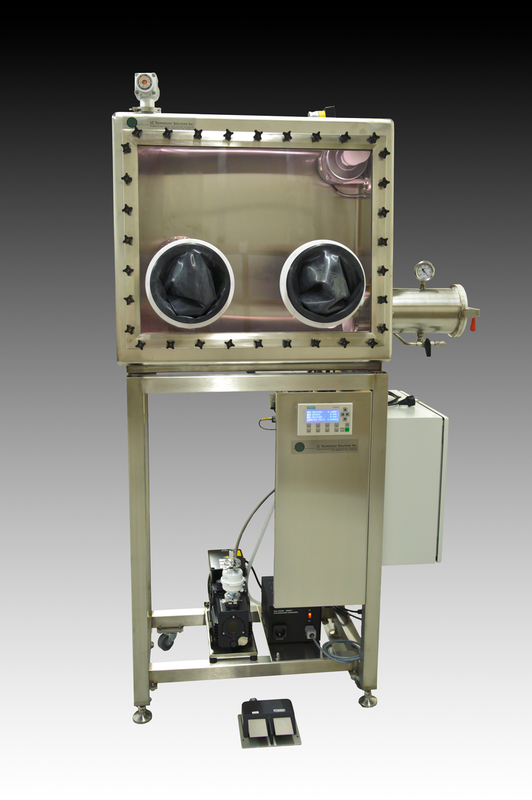 The system is a complete glovebox system including a gas purifier. 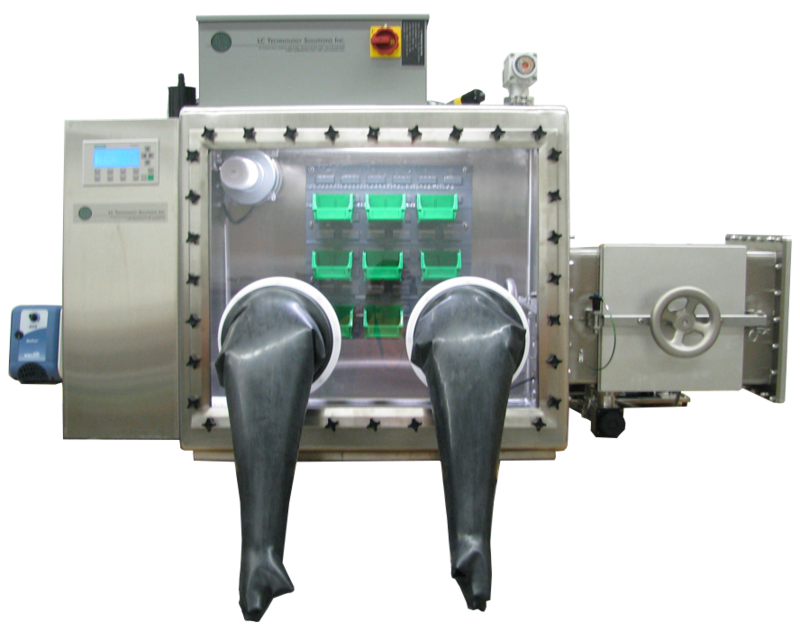 The LCPW’s have all of the same features as our larger standard glovebox but have a more compact and cost effective design. It can be supplied with a stand or it easily fits on any standard bench top. 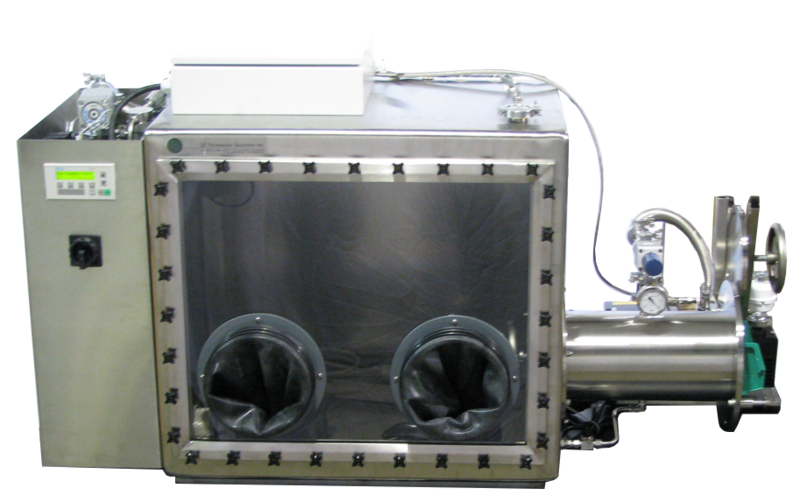 This system is available in single or double length and is capable of producing a less than 1 ppm oxygen and moisture free environment. The system has a one piece radius corner construction that allows for easy cleaning. It is compact and light weight in design, easily moved from room to room or location to location. 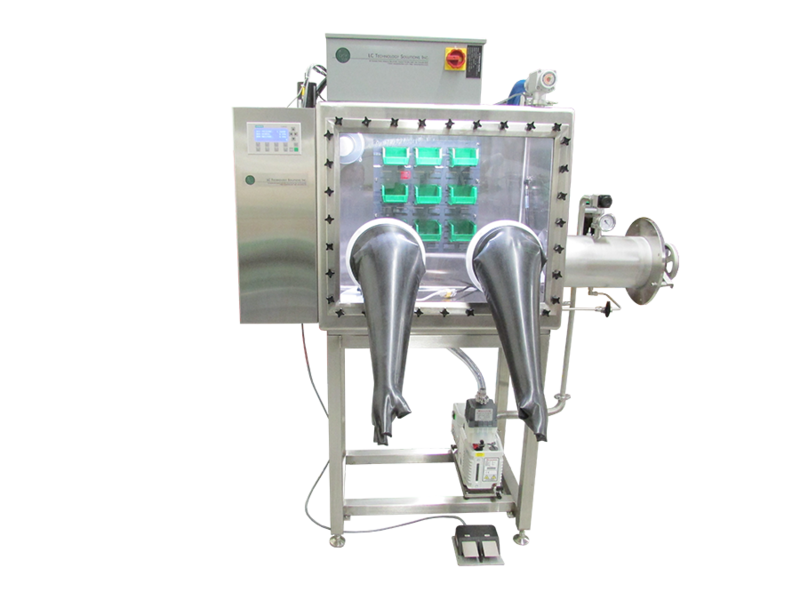 The system is also equipped with a quick release window which makes loading large pieces of equipment into the system very easy.